Why an M.S.ED in Educational Studies? A perfect choice for personalization and flexibility: The Master's of Science in Educational Studies is designed to cater to a variety of professionals seeking to enhance their skills in the field of classroom assessment, program evaluation, and education in general. With three strands to choose from, and with the option of taking courses online or face-to-face, the program offers great flexibility to both full-time resident students as well as students with full-time jobs. With a concentration in Classroom Assessment, teachers, administrators and other educational professionals will advance their skills and knowledge in classroom assessment strategies to improve quality of teaching. Research shows that teachers, who develop useful assessments, can provide corrective instruction and help students learn. The Program Evaluation concentration provides students with the tools to monitor and review programs, organizations, community practices, intervention and treatment plan implementations, and the use of resources within an organization or the community. In the current job market, there is a high concern about efficiency and productivity to capitalize on human and financial resources. The capstone project gives students the ability to network with evaluation professionals and other stakeholders in the field. Students are supported to present their capstone projects at the annual conference of the American Evaluation Association and other professional association meetings. The concentration in Educational Studies is perfect for K-12 educators who hold initial teaching certification, and want to use the program to earn their permanent teaching certification and satisfy the requirements for continuing licensure. It is also perfect for individuals who desire a graduate degree in education but who do not require initial or additional teaching certification. The City of Pittsburgh and the Greater Pittsburgh area are home to a number of for-profit and not-for-profit organizations, companies, schools, and government agencies, which provide great opportunity for students to conduct capstone projects. We have established collaborative partnerships with ASSET Inc., Catholic Charities and GTECH for students to carry out evaluation projects. 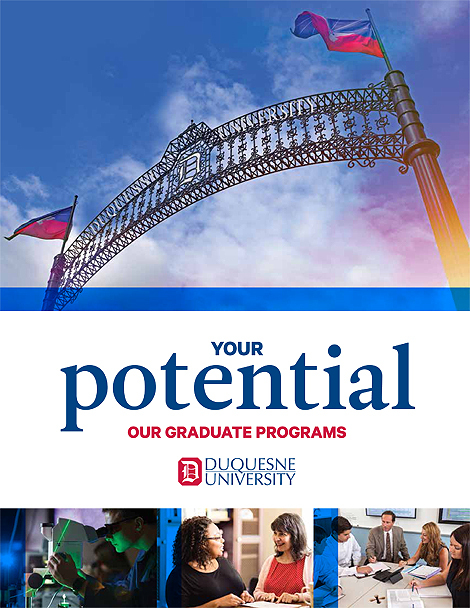 Duquesne University is a top-tier research institution with a great reputation at the international, national and regional levels. The Master's of Science in Educational Studies program is housed in the Department of Educational Foundations and Leadership, in the School of Education. The department is endowed with award-winning faculty in teaching and research, and the faculty are leaders in their fields of expertise. A great opportunity awaits students to partner with faculty on their research projects and collaborate on conference presentations and publications. Our graduates work in a variety of positions such as: Program Evaluation Coordinators, Research Associates, Monitoring and Evaluation Research Officers, Evaluation and Assessment Associates, Quality Management and Improvement Coordinators, Evaluation Consultants, etc. Some of the job openings in the field of program evaluation can be seen via the American Evaluation Association. 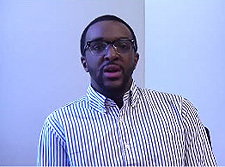 See and hear what current and past students are saying about our program!